I'm sure you all remember the awesome lip gloss company that I had a giveaway for not long ago? YOYO Lip Gloss. Well guess what? I am doing another giveaway for them, only this time it is for a $10.00 Gift Card, So you can get ANYTHING that you want :)! Now, I know there are a few of you, that are new to my blog and you missed out on the YoYo Lip gloss giveaway, so I will do a little recap of their amazing products! Which is also super shiny! Sweet smelling, and retractable! Thats only 2 of the 4 mini flavors, there is also, The Cha-Cha-Chocolate, and the Girly Green Apple. 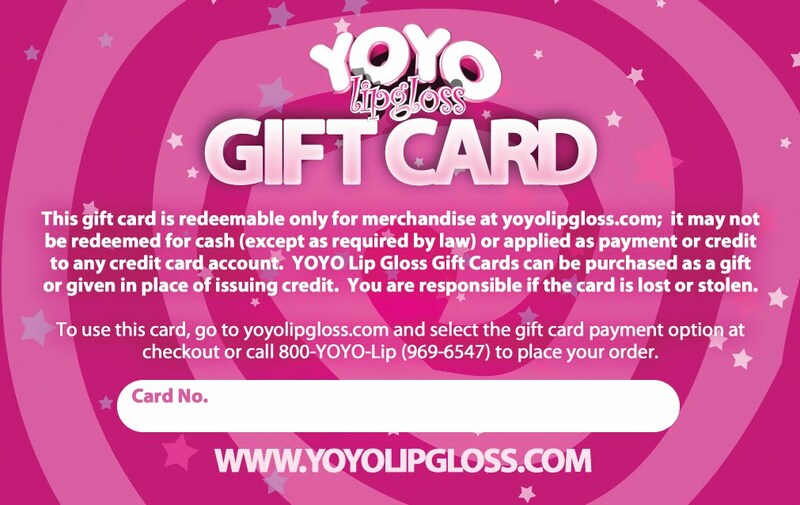 Also, if you are chosen as the winner you should also take note that YOYO Lip Gloss is expanding this fall, and they are getting.. Blush, Lip Balm, Nail Polish, Eye Shadow, And Tiny Lipsticks! So they are really adding alot of new products! I know I can't wait to try them :). 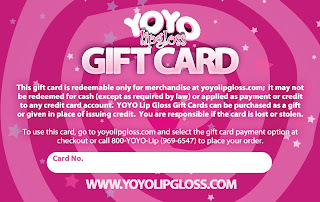 Mandatory entry: Visit YOYO Lip Gloss and tell me which flavor lip gloss you would love to try. Disclosure: I received nothing for this post. No compensation was received. Opinions expressed above were all my own, and were not influenced in any way. Please make sure I have a way to contact you if you are chosen as the winner! The winner will have 48 hours to reply to my email, or a new winner will be drawn. The giveaway Ends June 10th, 2010 at 11:59 pm. I would like to try Kissable Kiwi. I would like to try the kissable kiwi. I like the Girly Green Apple! I would love to try Cha-Cha-Chocolate! I like the kissable kiwi flavor! I'd like to try the Girly Green Apple. I would like to try the bubble gum flavor. i follow u on google friend connect.